Lina Bertling Tjernberg (S’98-M’02-SM’08) was born in Sweden, Stockholm. She holds the Chair of Professor in Sustainable Electric Power Systems, and is the Head of the Division of Electric Power Engineering, at the Department of Energy and Environment, at Chalmers University of Technology, in Gothenburg, Sweden, since January 2009. She has been with Svenska Kraftnät, i.e. the Swedish Transmission Systems Operator, during 2007-2009, and as a manager of the Research and Development from 2008. She has been with the Royal Institute of Technology (KTH), School of Electrical Engineering, in Stockholm, during 1997-2009, where she became Associate Professor in 2008, and finalized her Ph.D. in 2002 on reliability-centered maintenance for electric power distribution systems. She has been visiting researcher at the University of Saskatchewan during the spring semester 2000, and a postdoctoral fellow at the University of Toronto, and associated with Kinectrics Inc. during 2002/2003. Her research interests are within electric power systems, and current developments towards sustainable smart grid solutions, and specifically the application of probabilistic methods for reliability analysis and modelling and maintenance management. Dr. Bertling is the Chair of the Swedish PE/PEL Chapter, and the Chair of the IEEE PES Subcommittee on Risk, Reliability and Probability Applications (RRPA). She is a member of the Editorial board of the IEEE Transactions of Smart Grid. She was General Chair of the first IEEE PES Innovative Smart Grid Technologies (ISGT) Europe Conference, in Gothenburg, 2010. She is a member of the Swedish National Committee of Ciréd and the World Energy Council, and a member of Cigré. 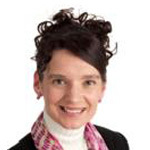 She is a member of the Scientific Board of the Swedish Civil Contingencies Agency (MSB) and a Board member of the Swedish Wind Power Center hosted by Chalmers University of Technology.